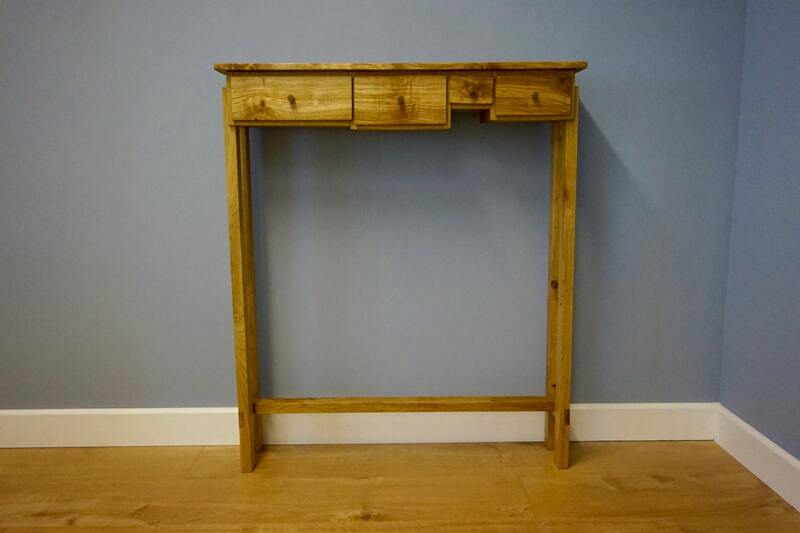 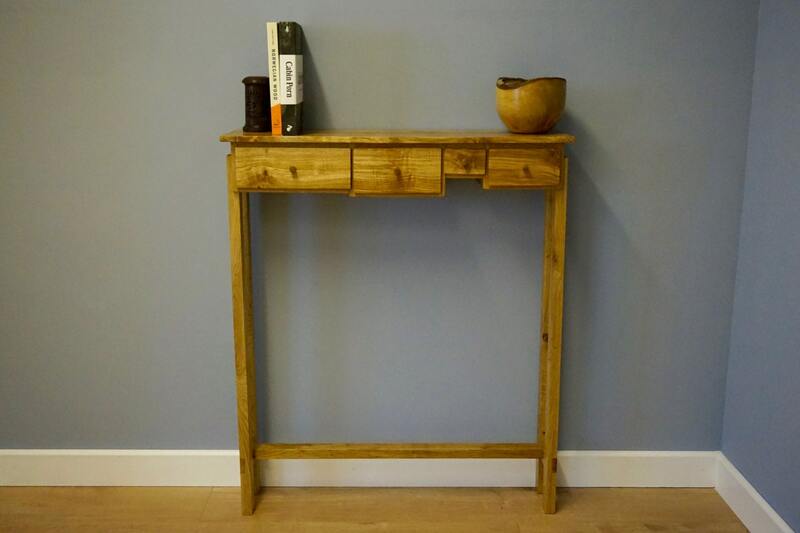 Made from european oak and olive ash, this entry way table is slim and tall so is perfect as a sideboard for any hallway or corridor. 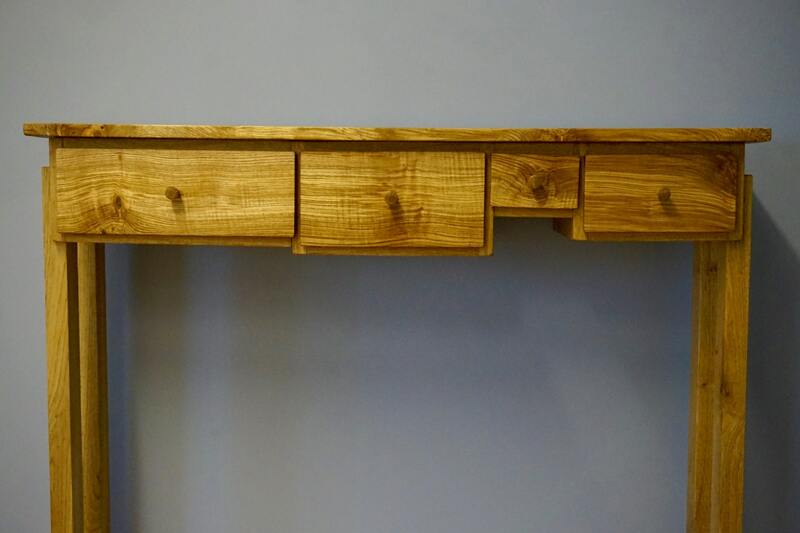 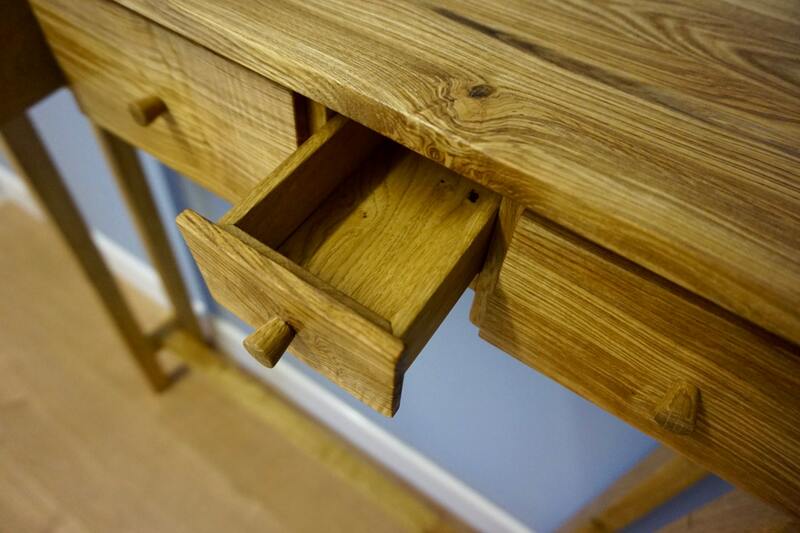 As you can see, the grain pattern of the tabletop and drawer fronts give this piece of furniture an individual look. 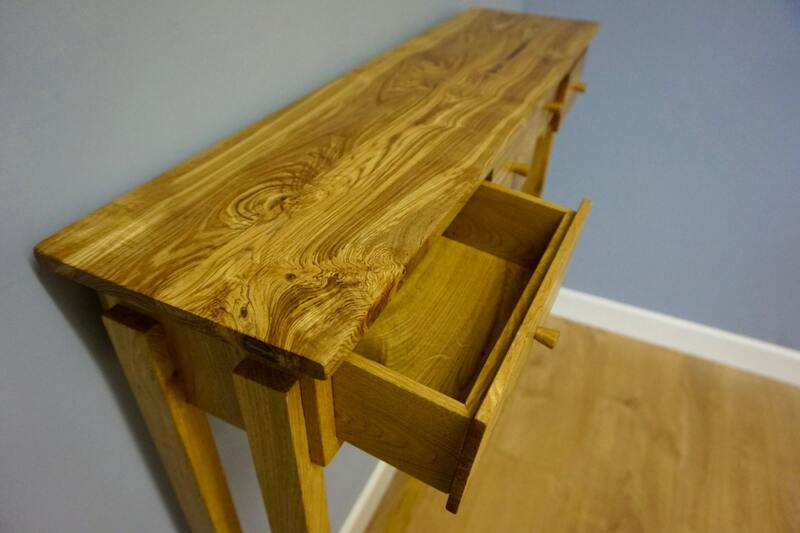 Even though the grain varies to this piece, another table (Entry way table 2) is also available in the same design.